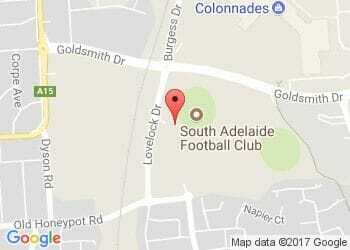 South Adelaide's Reserves got their season underway with their traditional Good Friday clash with Glenelg. The Panthers got off to a slow start and were unable to recover on their way to a 8.10 (58) to 13.15 (93) loss at the hands of the Bays at Hickinbotham Oval. The hosts were unfortunately hit by injury early, with winger Adam Hunter forced to the sidelines in the first quarter. Searching for an experienced presence to join his young midfield, Michael Handby sent Tarak Redigolo on the ball and the veteran campaigner equipped himself brilliantly. Freed from his usual defensive post, Redigolo gathered a game-high 27 touches in a standout performance. Forwards Blake Carter and Matt Raitt were also amongst South's best performers, with the former booting three goals and the latter making his presence felt with 25 disposals and eight tackles. Youngster Tarik Illingworth and former captain Brad Crabb were also key contributors at opposite ends of the ground. Get behind the boys and renew your Membership!